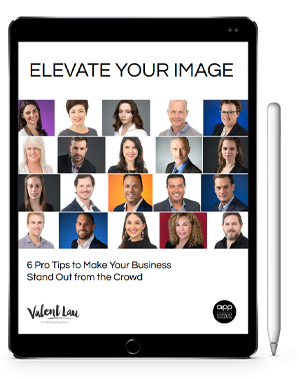 As a Sydney headshot photographer dealing with lots of corporate headshots and LinkedIn headshots, we discuss your business to find out exactly how to most effectively use your image as your brand to promote your business. We often discover ideas that are not immediately apparent. After an initial conversation it soon became clear that she was strongly committed to this move and a more complete personal branding approach would yield better value in the long run. From our discussion she had two parts of her business, corporate conflicts and relationship and parenting conflict. For her LinkedIn profile and professional listing site, she would be targeting corporate clients. She would be working on her own website that targets the relationship and parenting clients. For her headshots the message she aimed to convey was one of competence, understanding, and approachability. Firstly for the professional listing site we used the above photograph. The site was laid out with an introduction to the left and profile photos to the far right. Facing in to the left the photograph ties in with her text and engages the audience. The audience for the site included both potential clients and also other mediators, as Tiffany is involved in training others in her field too. So we used an expression which was a bit more open and friendly. For LinkedIn where profile photos are on the left, we chose this photograph above. In most of the site the photos are on the left with text to the right. The audience here would be corporate clients in Sydney or nationally looking for a competent professional. It could be HR or admin staff looking for someone to help their employees. We felt a more serious corporate look would be appropriate here. Note how it is still recognisable as the same person in the listing site. It is important when a client sees you in different contexts, that they see a consistency in the message and brand that is portrayed. Finally for her own website, which was targeted to relationship and parenting clients, we had a much friendlier look. They were more likely to be from the Eastern Suburbs. You can feel the openness and acceptance in this shot. You know you can tell her your problems in confidence and she will be able to help you. We also chose yellow as a background color representing happiness, optimism, and enlightenment, which is what she is bringing to these clients. Now that the headshots were out of the way, we looked at other branding images she could use in various places. Firstly we made a landscape photograph which could be used for both a website banner and for running any promotions. Showing more of her person, Tiffany becomes more relatable and real, building the trust of a potential client. Because her website was still in the planning stages, we kept this a bit more generic, so it could be used on other sites as well. And after that it was time to have fun. Because Tiffany also had speaking appointments and was involved in education and mentoring in her field, we had a blast capturing different parts of her personality in the studio. Each photograph showed a different facet and portrayed a different message. From the photographs you can start to know Tiffany as a person, even without reading anything about her. This is what is so powerful about personal branding imagery. In a split second a client has already decided you are a friendly approachable person who is competent and someone I can trust. How powerful is that? Here are a selection from our session. We have photographs that could be used on social media, ones that could be used for inspirational quotes, ones that can be used at events, but all tying in with a consistent brand message. Does your brand instill trust in clients? In the age of information, having a business is not enough to gain a client’s trust. Clients no longer just want to know about the service you are offering. They want to know the person behind the service. A professional headshot is a good start, but it’s often no longer enough. You can no longer hide behind stock imagery for the rest of your site. People want to know who you really are before doing business with you. Personal branding is the best way to do that in a professional manner. Clients that trust you before meeting you, how much would that be worth? Valent Lau Photography provides Professional Branding Photography in the studio at Coogee or at your business location. Contact us now and let us help you make your best first impression.